Tim Cook: "Our People Are the Soul of Our Company"
September has been a big month for Apple, what with two new phones and record-breaking sales—and there's more to come. Apple CEO Tim Cook is understandably pleased with the company's performance, and voiced his delight to the Apple workforce in a new company-wide memo. 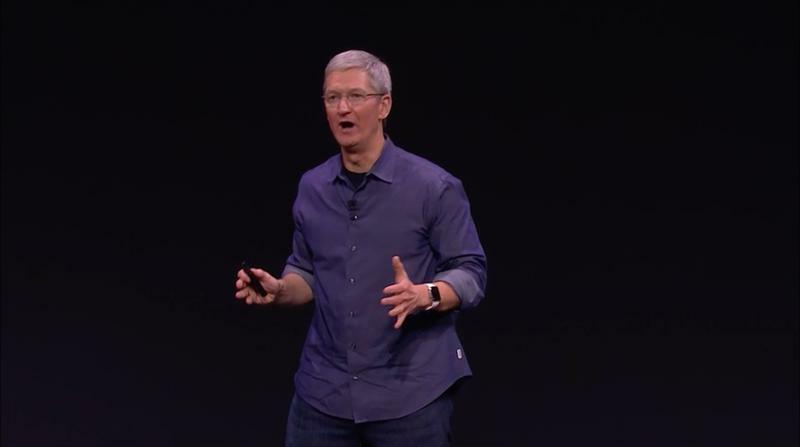 In it, Cook says Apple's recent devices were "the biggest advancements in iPhone history," adding that "many" employees put their heart and soul into the company's new products. "This is what we do best, and the result transforms people's lives," Cook said. "It's simply inspiring… Without you, none of these accomplishments would have been possible. Our people are the soul of our company." As a reward for the hours put in, Cook said Apple employees will receive the whole Thanksgiving week off to spend time with friends and family. Many of Apple's consumer-facing channels—retail, AppleCare, and others—will continue to operate during this time, but will receive the same amount of time off, Cook said. Memos like this are commonplace in Apple culture, and especially after major product launches. Apple said it sold more than 10 million new iPhones over launch weekend, and reception has been overwhelmingly positive across the board. So much so that some of Apple's competitors are even a little flustered. You can check out Cook's full memo below. This month has been one for the record books. Just two weeks ago, we launched the biggest advancements in iPhone history with iPhone 6 and iPhone 6 Plus, which our customers absolutely love. We introduced Apple Pay, a new service which will make mobile payments easier, more secure and more private. And we previewed the next chapter in Apple's story with Apple Watch, our most personal device ever and one which has already captured the world's imagination. Our customers are enjoying new ways to use their iPhone, iPad or iPod touch with iOS 8's intuitive new features, and the ground-breaking security of iOS 8 has demonstrated our strong commitment to protecting users' privacy. Coming up this fall is OS X Yosemite, with continuity features that deliver an even more fluid experience across all our iOS devices and Macs. Each of these introductions represents years of innovation and hard work by teams all across Apple. Many of you have put the best work of your lives into these amazing new products, which bring together world-class hardware, software and services in the way only Apple can. This is what we do best, and the result transforms people's lives. It's simply inspiring. I am also incredibly inspired and proud of all of our work to protect the environment, advance human rights, and change the way teachers teach and students learn. Retail, AppleCare, and several other teams will continue to serve our customers over those days, but will receive the same amount of time off at a date that's best for them. Please check with your manager for details. International teams will schedule vacation days when appropriate for their country. Enjoy the extra time off with your families and loved ones. You've earned it!